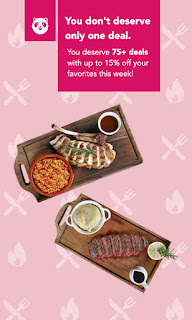 foodpanda, the on-demand food delivery service, brings back the biggest food discount event this summer for its fifth run. The much loved Hot ‘N Hungry campaign will run for a month, from April 5 to May 4, 219. Hot ‘n Hungry is the perfect way to satisfy cravings in this intense heat. The delicious deals are available to foodpanda customers in Metro Manila, Metro Cebu, Metro Davao and on foodpanda’s newly opened areas: Bacoor, Cavite, Angeles, Pampanga and San Pedro, Laguna. The Huawei Mate 20 Pro is I believed the most talked about smartphone of 2018. It has won the hearts of many reviewers and it even won the blind smartphone camera test. It is boasted of cutting-edge photography features that include variable aperture cameras, triple rear camera setups, and AI-assisted photo processing. 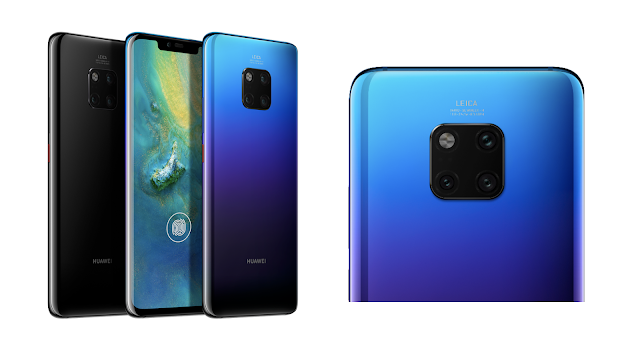 I like the trendsetting gradient of the Mate 20 Pro Twilight version. Since I have small-sized hands, I also like the way I can grip the Huawei Mate 20 Pro in my hands. Plus it helps that the screen is curved as well. I like the Facial unlock, because I would often raise up the device to check if someone messaged me and most of the time it was already unlocked and ready to use; even before I got the prompt for the fingerprint scanner. As a hobbyist photographer, I've been a fan of Huawei's for mobile photography. Huawei wowed me with the triple camera setup of the P20 series. The Internet, truly, is a powerful tool. It can be used to promote your business, gain new friends, and stay in touch with the old ones. It is also a source of entertainment. But like most things in this world, there is always “another side of the coin.” The Internet is one of the most dangerous places, especially if you do not know what you are doing. When we use our social media accounts let us #makeITsafePH because we know posting everything about our private lives can make others do cyberbullying. 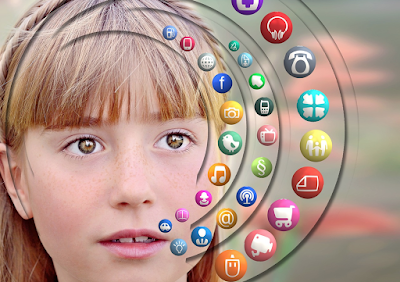 Social media hacking is very common nowadays especially for those preteens and teenagers since this generation of new technologies expanded. Here are the different types of information teens should not publicly disclose through social media. Including the risk of doing so. 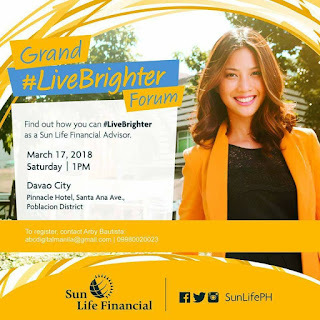 I got invited to the Sun Life #LiveBrighter Forum that talks about financial literacy, the importance of life insurance and investments as well as hearing inspiring stories from Sun Life Advisors and Managers about how Sun Life has dramatically changed their lives. The forum was a great avenue for people who wants to become a Financial Advisors. As I listened to inspiring stories of some successful financial advisors, it made me recall that last year I did myself a favor when I got myself a Health Insurance. A Life Insurance with Critical Illness or Hospital Income Benefit with Investment at the same time (also known as VUL). I choose Sun Life because it gives me peace of mind. Many questioned my decision because no one depended on me financially because I have no kids but I believe Life Insurance is my love insurance. One only protects what one TRULY values. The first five years are especially crucial for physical, intellectual, and social-emotional development of a child's development. Anchoring on this belief, Gymboree Play & Music School - Davao, the 13th branch in the Philippines that was opened in June 2014 at the Lanang Business Park in Davao City and advocating every aspect of child's development covered -- from social interaction to physical activity to cognitive learning. Gymboree Play & Music School - Davao's owner Ms. Daisy Uy said each child is a unique individual who has the potential to be the best that he can be. "Our specially designed classes incorporate innovation with classic learning techniques to engage young minds. Through play, children will develop the confidence, creativity, curiosity, and learning skills they need for school and beyond. The possibilities are endless." Teacher Paul said. 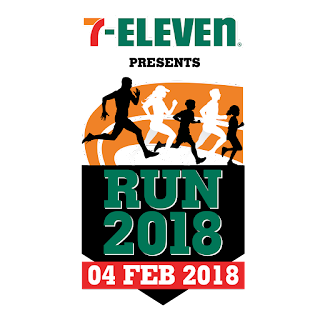 Once again, Philippine Seven Corporation, country licensee of 7-Eleven, is hosting one of the most anticipated running events in the Philippines this February 4, 2018. With the continuous success of the 7-Eleven Run Series since 2013, our favorite kapitbahay will be bringing families, runners, and people from all ages together for another day of freebies, fitness and fun. With more than 20,000 registrants last year, Run 2018 aims to be the biggest and most exciting of the series yet. This 2018, the 7-Eleven Run is not just happening in Skyway and Filinvest, Manila like previous years, but, for the very first time, it will take place in SM City Davao, Davao and Cebu Business Park, Cebu at the same time. Who Wants Free Starbucks Coffee For 360 Days? 4,380 Drinks for 2018! 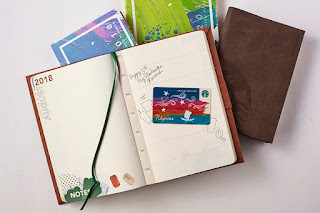 There's an exclusive Starbucks card inside each Starbucks planner, which features a design inspired by their Kape Vinta blend. Anyone who activates the card from January 1 to 30, 2018, stands the chance to win either 30 or 365 complimentary grande drinks. One of its latest promotions include offering FREE COFFEE FOR A YEAR and FREE COFFEE FOR A MONTH forty (40) lucky customers.